Leatherman's new baby Tread, a multi-tool worn on the wrist, is so brand new it hasn't quite popped out of the oven yet. But before you start leaving interminably clever, "This site should be called Dude You Can't Have That" remarks in the Comments section, know that it does really exist, and is in production, set for release this summer. 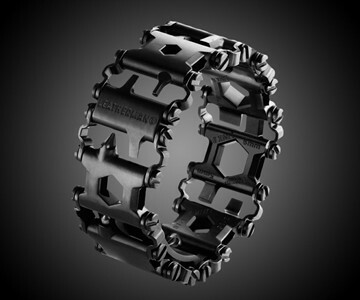 Made of high-strength and corrosion-resistant 17-4 stainless steel, the Leatherman Tread consists of a series of links that snap together in a ring for the outdoorsman to don as a fashionable accessory when not needed, and unlatch as a fully functional multi-tool when things get loose, leaky, or (un)screwy. Each link is equipped with 2 to 3 tools, for a total of 25 usable features, such as box wrenches, screwdrivers, a cutting hook, hex drives, and a carbide glass breaker. 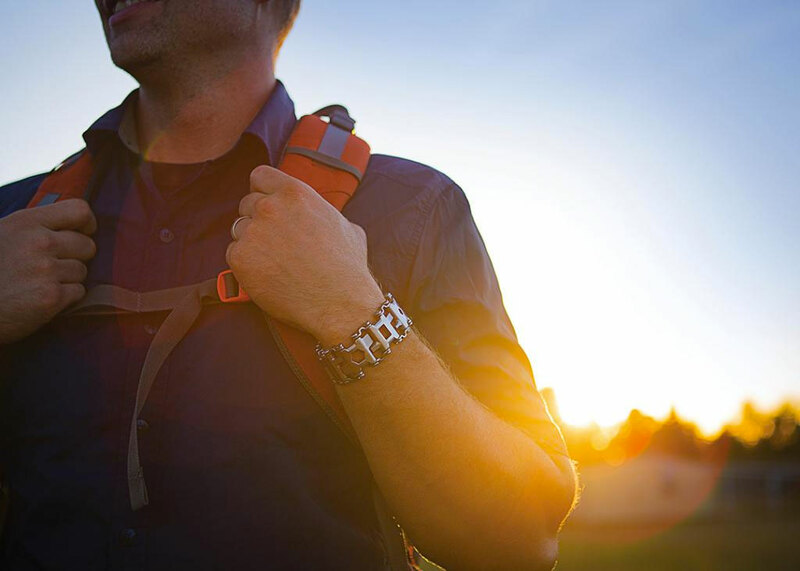 Tread bracelets will be fully customizable, with slotted fasteners that enable wearers to rearrange links, add new ones, and adjust to within 1/4" of wrist size. Even the clasp will serve dual purposes: a bottle opener and a #2 square drive. 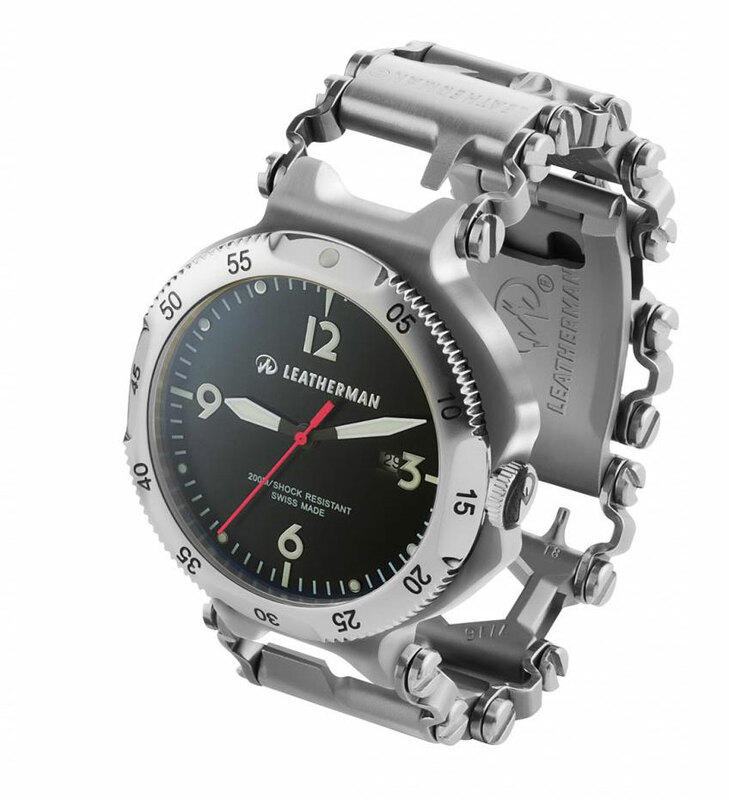 In Fall 2015, Leatherman also plans to release a version of the Tread with a watch, the Tread QM1. This bracelet's central figure will be a Swiss-made timepiece with precision quartz movement, shock-resistant sapphire crystal, and a curved case to reduce reflection and increase outdoor visibility.